How has the response to the book been? It’s doing extremely well. It was sold out in the first week on Flipkart and Snapdeal. At Crossword, they had put out 50 books on the shelf; they sold out in two days before the day of the launch. There is no real good book out there on taking interviews. How did the book come about? Whose idea was it? Carol was going to appear for an interview. Back then, nothing was available for someone to train themselves for the interview. I had just sold my stake in Dentsu and had a bit of time on my hands. So I was helping her prepare for the interview. What we found was that there wasn’t enough reference material on the subject. For me, the most rewarding thing about this project has been working with my daughter. As busy parents, we never really find quality time to spend with our children. This book helped me do that. What also happens when you spend time with children is that it helps get a different perspective on situations and issues – from someone 30 years younger! What’s there for adlanders in the book? 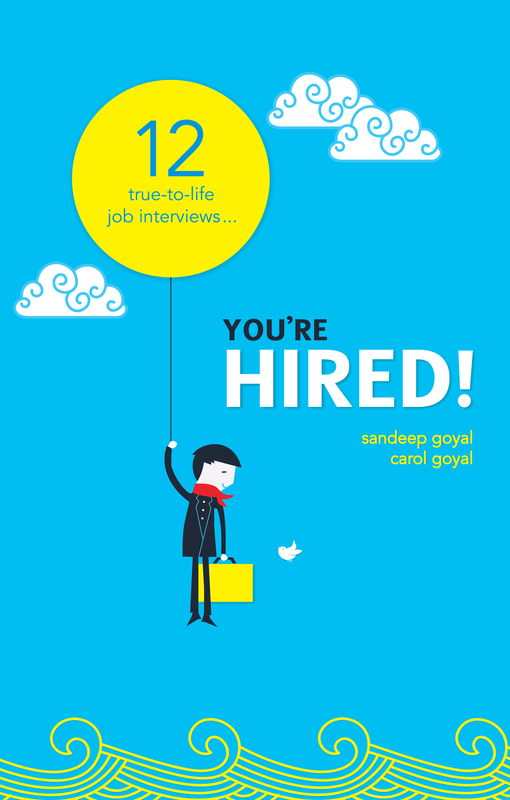 There is a chapter on an interview in an ad agency. As an old man in advertising, I have tried not to make it flippant. Many people make interviews in advertising agencies out to be frivolous, which is not true. You do get many cases of interviews with people like the girl featured in the book – it’s a good looking girl, who could pass off as a model, having a rich conversation from literature to music, during her job interview. We’ve shown the advertising industry in good light. There are bright kids out there who have a lot to share. It’s true that sometimes, in advertising, we are not rigorous enough to pick up the right people. We need to be. So that’s the second book, after ‘Dum Dum Bullet’. When do we see the third? That’s very much on; it should happen next year. How’s the Ph.D. coming along? We should be done by next year. We’re already into the halfway stage. These days, you have to attend classes. I need to do five courses as part of the Ph.D. Two of them are with the first year MBA guys – Marketing Management and Consumer Behaviour. Yesterday, the clerk asked me why I hadn’t submitted my Bus Pass form also.